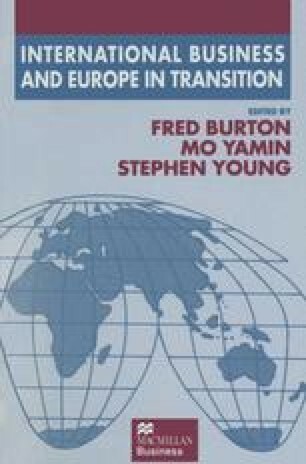 This book provides an integrated collection of research writings around the theme of International Business and Europe in Transition. Like others to follow in The Academy of International Business Conference series, it is designed to contribute to general understanding and debate, to academic research and to policy review and evolution. In addition, this book, as with others in the series, concludes with a brief chapter on future research ideas stimulated by the authors’ contributions.